We are amazed that the year is almost over and another Holiday Season is now upon us! The elves are back, running around the studio to set things up for the RainyDayMagazine GiftGuides photo shoot. They have an excellent eye for sparkly globes, twinkly trees, and other bits of decoration that turn the office into a holiday wonderland. As with previous years we have assembled a collection of items which we think are both unique and useful to give/get. For the next two weeks, we will be posting RainyDayGift Guides in a variety of categories. 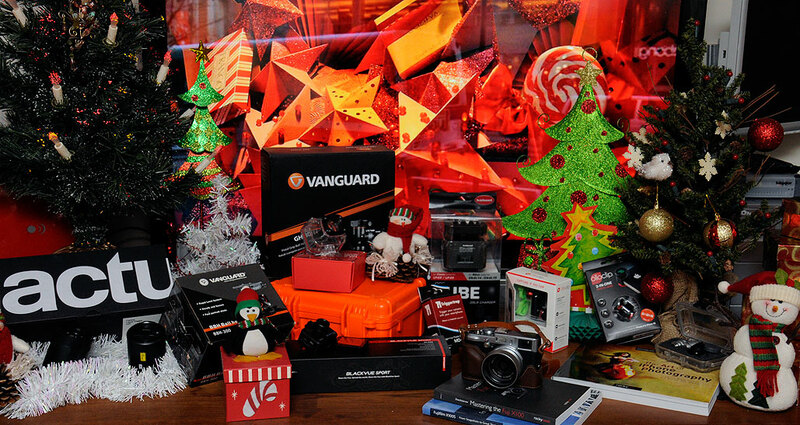 We hope you will find the them helpful as you shop for gifts for yourself and your loved ones. Of course, feel free to revisit the previous guides (see side panels). Those recommendations are still perfectly valid. Happy Holidays!!! Everyone knows about GoPro cameras, but there are a lot of other excellent actioncams out there. The Blackvue Sport is one of them. The Sport is built by a company with a reputation of making small, high-resolution cameras that have all the features one would want in an actioncam (wide view angle, 12MP sensor, 1080p video, etc). 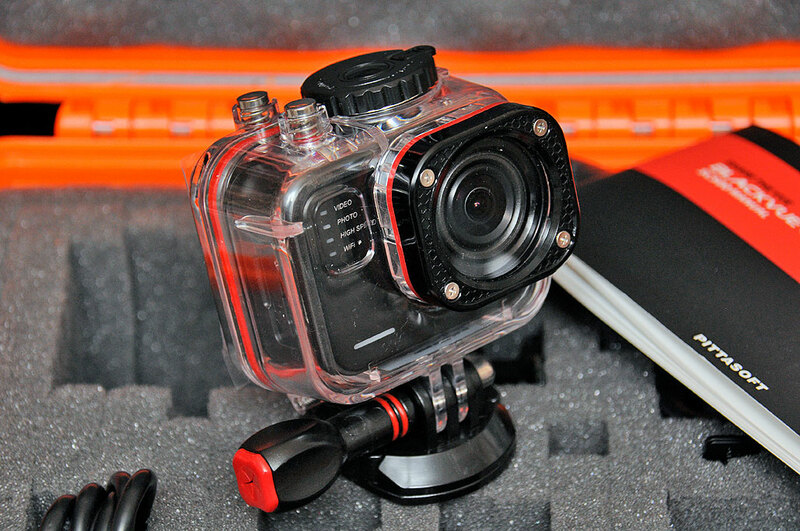 A few months ago, Blackvue also released a waterproof case for the Sport. Now this little guy can record in the rain, on the river, and even underwater. 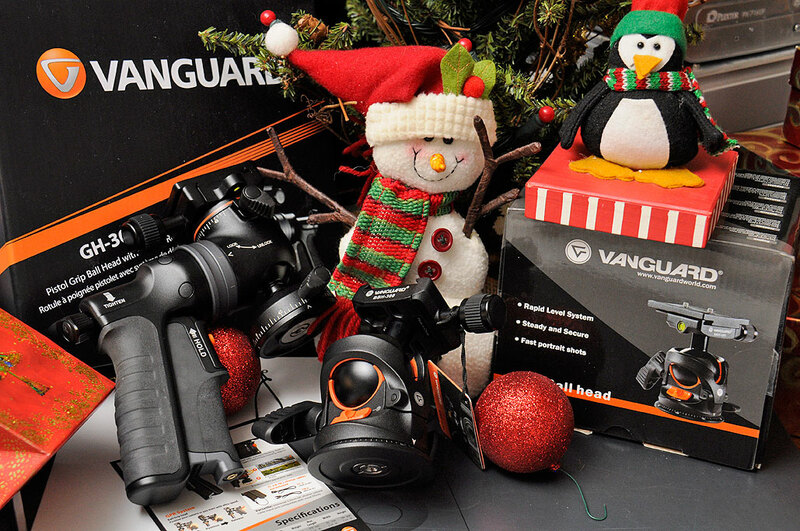 We are certain that any action junkies would love to find a Blackvue Sport under the tree! Last year we recommended a few carbon fiber tripods for different type of photography. This year we have two heads (BBH-300, GH-300T) for those who are looking for increased flexabilities for their tripods. Vanguard BBH-300 Ball Tripod Head: A ball head is good for situations where you expect to move the camera frequently and in a wide range of positions. Vanguard GH-300T Pistol Grip Tripod Head: A pistol grip head enables a photographer reposition the camera with just a squeeze of the handle. With some pistol grips it can be awkward to photograph moving subjects (it’s difficult to simultaneously focus/press the pistol grip/press the shutter release). No so with the Vanguard GH-300T. This unit has the shutter release built into the grip! There are a lot of accessories a photographer could want, but the two on our list this year are the hahnel ProCUBE and the Cactus Laser Trigger. The CUBE is one of the best aftermarket chargers one can buy. The Cactus Laser Trigger gets action shots that are not possible without it. Both are useful for photographers who want to stretch their creativity. hahnel ProCUBE: Twin chargers for Nikon/Canon DSLR Li-Ion batteries. Cactus Laser Trigger LV5: A must-have piece of gear for anyone interested in high-speed photography and wildlife photo traps. Fujifilm X100 and X100S books: Last year we offered a lot of recommended accessories for our favorite, and we think the best, point-n-shoot camera in the world. This year, we want to point out two books which will let Fujifilm X100 and X100S owners learn how to get the most out of those phenomenal cameras. iPhone photography: Big DSLRs have their place, but so does the small, always-present iPhone camera. The little shooter is a lot more capable than most people understand. Here are two recommendations for those who may be interested in learning how to use the iPhone camera to its full potential. Product photography: Anyone who has tried their hands at taking photos of small objects quickly realizes that it is a lot more difficult than expected. Glare, reflections, and shadow problems are greatly magnified when getting in close. 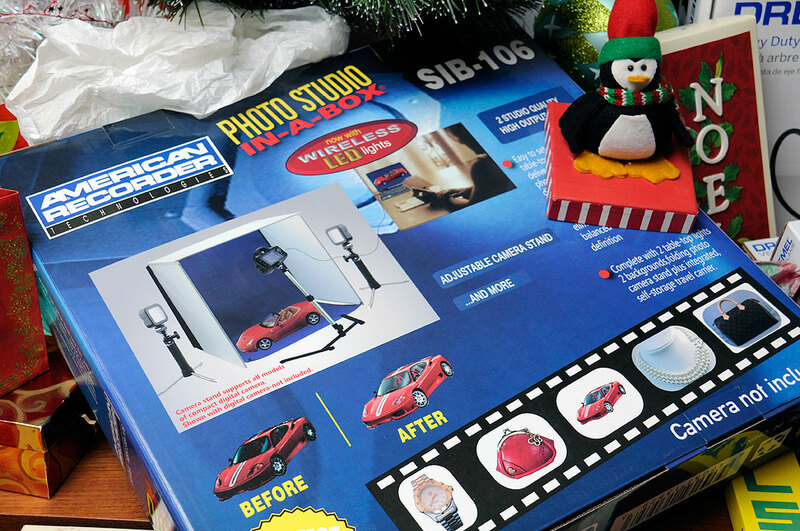 Photo Studio In-A-Boxfrom American Recorder Technologies has simplified setting up those kind of shoots by assembling a kit containing a light tent, an adjustable camera stand, and two color-correct LED lights. All of this gear fits in a handy portable case so it can be easily transported, quickly set up, and conveniently used anywhere.